A funeral is an occasion that is somber and possesses a solemn atmosphere. When we speak of funeral templates, we usually refer to templates for obituaries or funeral invitations or even funeral stationary. Such stationary would include a program for the entire event and prayer pamphlets. 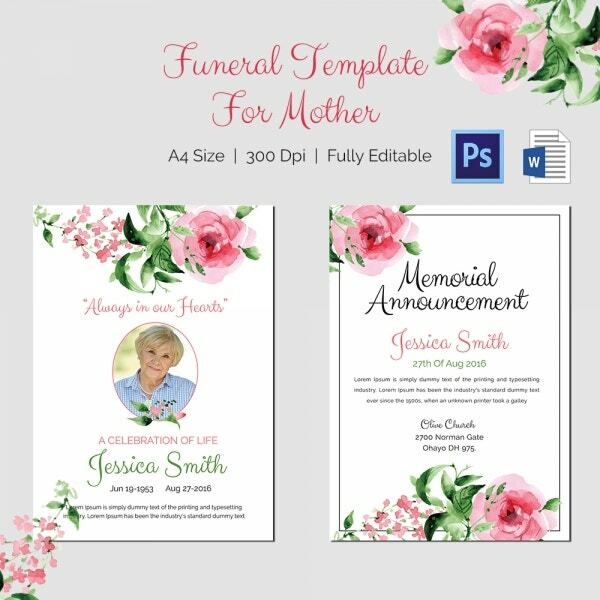 Now if you want to make sure that the funeral you’re planning goes off without a hitch, then these funeral templates are your best shot. All you have to do is download them.You can also see Funeral Template. This funeral template comes in an A4 size and in word format. That makes the template easy to use as well. The textual elements and the pictures on the template can be edited and customised. This funeral template could be used on the occasion of death of a loved one. The use of floral designs along with a black background goes with the overall theme of the event. This template has to be one of the most supreme and elegant examples of funeral templates. It uses a beautiful floral design on the top against a white background. It comes in an A4 size in word format. If you want your funeral invitation to look stylish and sleek, then this is the template for you. A very feminine template with splashes of pink all over it, this template consists of a very neat pattern. 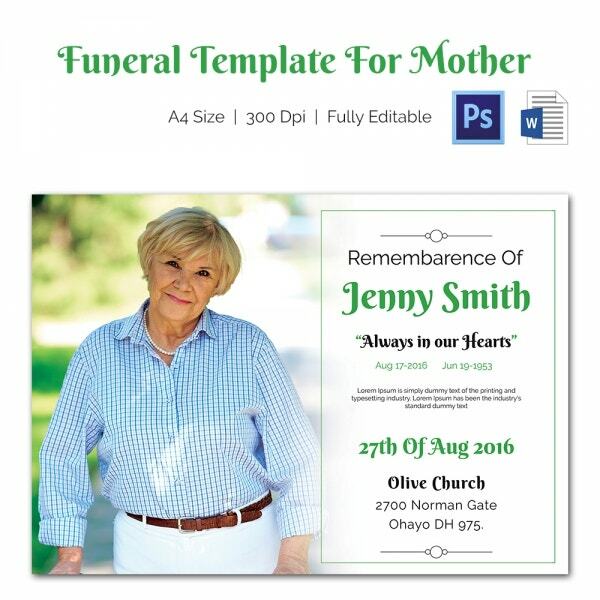 This funeral template allows you to add an image of the deceased. You would be able to add and edit details on both sides of the template once you download the template. > Who can use the Funeral Templates? Anyone who has been given the responsibility of organising the particulars of a funeral would find these templates to be handy and useful. For instance, to inform near and dear ones about the funeral that is to take place, you would need to send out an invitation. This invitation would contain details of the event. For that, you can use these funeral templates. 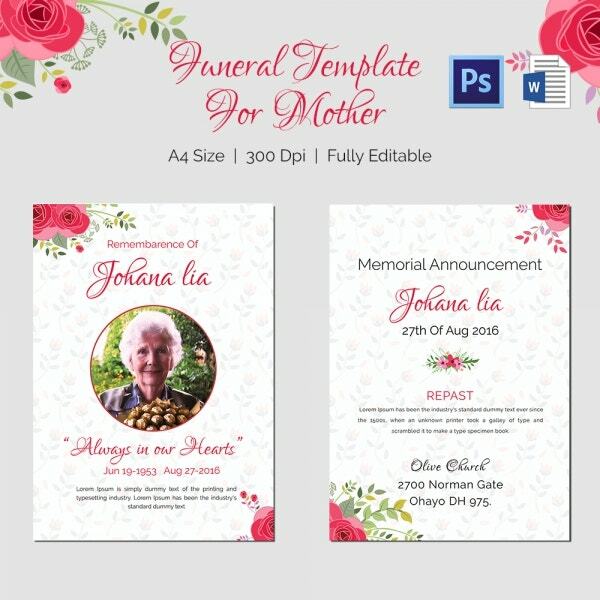 These templates have been specially designed for funerals organised in memory of your mother or other women. Since the template is very specific, it would come in handy. Thus, anyone in charge of planning and executing funerals can use them. You may also see Funeral Templates for Father. > Why go for Funeral Templates? The templates come in an easy to use word format. Once you download the template, you would be able to edit or customize the templates very easily and change little details. They all contain a stylish, sleek, sophisticated and elegant appearance. That makes the template go with the overall ambiance. These templates are ready to print. They come in a neat and organised layout which adds to the beauty. The funeral templates have been kept to the point and have a no nonsense look. 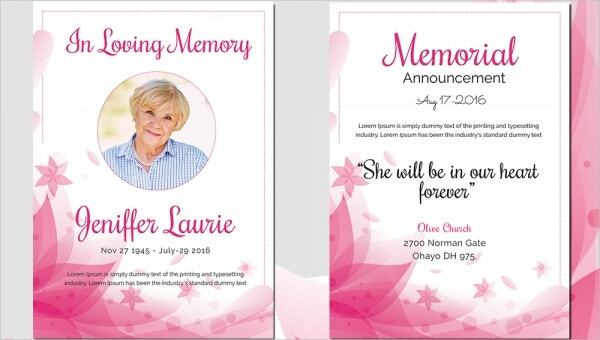 Designing invitations for funerals can be pretty complicated unless you get professional help. 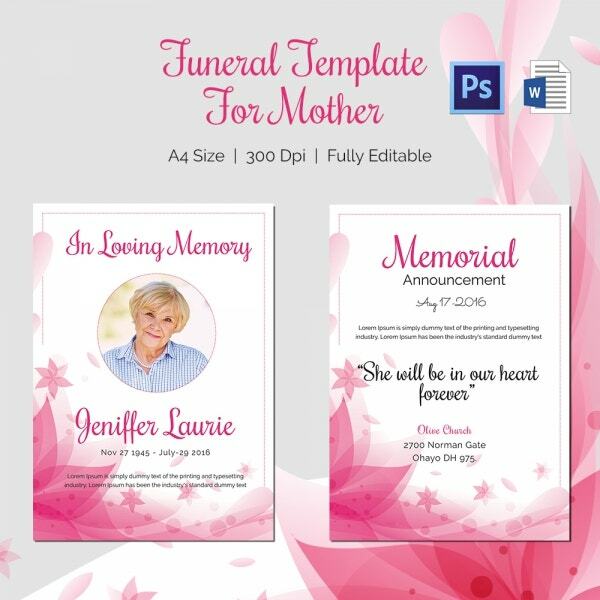 You can do that with the help of these funeral templates. 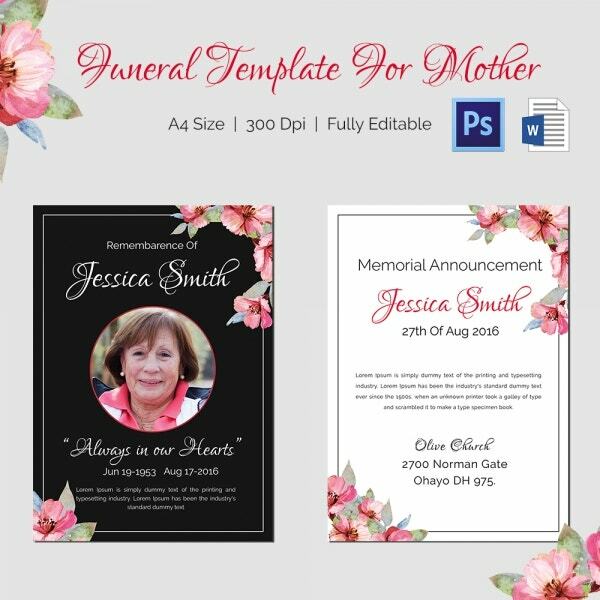 All you have to do is get your hands on the apt funeral template for your event and then download it. You would also be able to edit the templates here!